In an effort to answer the , the research team crunched data from 1607 surveys from the NOAA Coastal Reef Ecosystem Division (CRED) to calculate the effect of human habitation on shark populations. The CRED team counted sharks throughout the Pacific using towed diver surveys, the most efficient and effective way to study open ocean creatures on a large spatial scale, and compared their counts with local human population numbers. Their results were clear – and sobering. That 90% reduction in shark populations has long been the consensus guess on what humanity, which loves to monetize and commercialize fears of what sharks can do to us, is actually doing to sharks. So it is not surprising so much as it is a depressing indication that that catastrophic 90% number might actually be correct. At that level, it is an echo of a similar destruction of a population for commercial benefit: the slaughter of the American buffalo. The American buffalo, or bison, was once the most numerous species of large animal on earth–until mankind saw profits in the skins and meat, and systematically reduced the herds to near extinction. 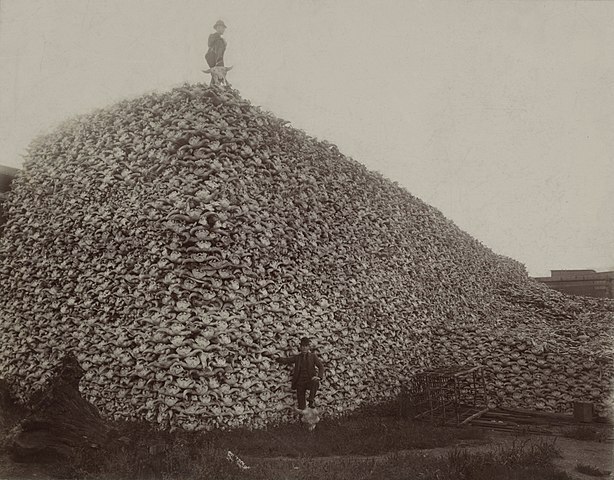 A pile of bison skulls in the 1870s, waiting to be ground into fertilizer. There is an echo also in the cruelty involved, with shark finning easily matching, and in my view surpassing, the practice of stampeding buffalo over a cliff for calculated barbarity. There is one difference, though, between the human slaughter of sharks and the human slaughter of buffalo. The meat and skins of buffalo were arguably more vital to human existence than any product the shark slaughter provides. That is not to justify or excuse the slaughter of the buffalo. 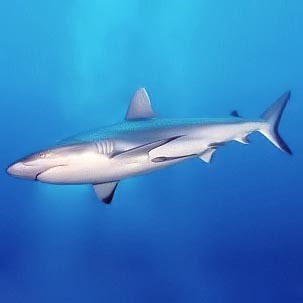 It is only to say that the destruction of shark populations for soup, crank cancer treatments and the pathetic hope for more sexual prowess (particularly given the importance of sharks to the overall oceanic ecosystem) is particularly senseless and a cosmic crime against the planet.